1. Quick convert YouTube video & audio to FLAC with high quality preserved. 2. Download video & audio from YouTube, Vimeo, Facebook, Dailymotion, etc. 3. Quick convert YouTube videos with 1:1 flawless quality. 4. The built-in editor enables you to edit video & audio files and modify audio parameters at simple clicks. 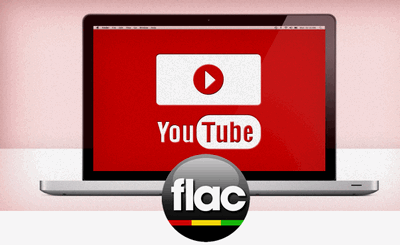 A good YouTube to FLAC converter enables you to convert YouTube videos in a breeze. HD Video Converter Factory Pro has excellent performance compared with its counterparts. It can quick convert YouTube video to FLAC at the fastest speed and also helps you modify the audio parameters, such as boosting volume, merging audio, changing audio bitrate, etc. With it, you can not only change your video or audio files to FLAC, but also, over 300 formats, codec and devices remain to be chosen. Before start, please free downloadfree download the YouTube FLAC downloader and install it on your PC. 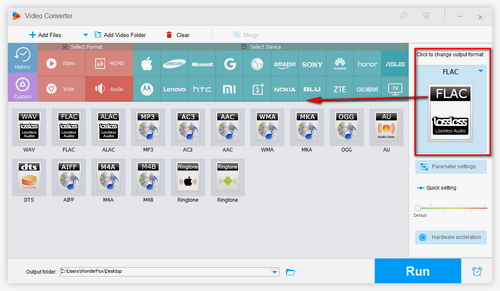 Run HD Video Converter Factory Pro and click on the “Download Video” button. Then paste the YouTube video URL into the box on the “Add New Download” window and click on the “Analyze”. After the video URL analysis finished, hit the “Download” button to save the YouTube video. Click on “Output Format” to open the output format menu and choose “FLAC” profile under “Audio” tab. As you can see, the YouTube FLAC converter offers kinds of output format options. To put it simply, you can easily convert YouTube to MP4, YouTube to WMV, YouTube to WAV, YouTube to MP3, etc. Besides, it presets the optimized parameters of output files for you to convert YouTube to mobile devices. 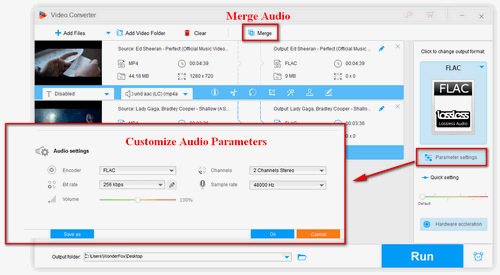 As I mentioned before, you can edit media files and audio parameters with HD Video Converter Factory Pro. Here I am going to briefly explain how to preset those parameters: Click on Settings on the lower right side. Then in the new page window, you can see two sections - video and audio, where you can change the frame rate, improve resolution and bit rate value to make video and audio get clearer. Meanwhile, the editing function is also supported with which you can cut and merge your FLAC audio. Select an output format and click on “Run” on the right corner to start the conversion. Some online converters also support converting YouTube videos to FLAC audio. As online converters require good net connection and most of them can’t handle high-quality video and audio conversion, if you don’t mind the commonly slow conversion speed and output quality, you can convert YouTube videos with them. Most online YouTube FLAC converters don’t have plug-ins installation requirement and are easy to use. Onlinevideocoverter is a useful website for users to download and convert any YouTube videos to FLAC, MP3, MP4, WMV, AVI, OGG, M4A, etc. Step 2. Paste the video URL into the box and select FLAC from the output format drop-list of the YouTube to FLAC converter. Step 3. Click on “Convert” to convert YouTube to FLAC online. Step 4. After the conversion process completed, click on the green Download button to save the converted FLAC files. It must be noted that the audio quality of the converted FLAC file is decided by the original video. As all the YouTube videos are compressed, in other words, lossy, so if you convert the lossy YouTube to any lossless audio formats like FLAC, WAV, ALAC, the audio quality will not be improved. However, to extract audio from video, most online and free video converters would cause quality damage. So WonderFox HD Video Converter is certainly the best choice as it can keep the 1:1 original video & audio quality and also offers many features. Warm: The methods in this article are for personal fair use. Please do not download any copyrighted content or use them for commercial purpose and other illegal intentions. Download the best YouTube to FLAC converter to convert YouTube videos to FLAC, enhance video quality from SD to HD, compress video size with high-quality preserved, etc. Moreover, it can download YouTube playlists at a time.